Android TV is slowly taking over the set-top box streaming box market. It powers the wonderful Nvidia Shield 7 Reasons the Nvidia Shield Is the Ultimate Device for Cord-Cutters 7 Reasons the Nvidia Shield Is the Ultimate Device for Cord-Cutters The Nvidia Shield may just be the ultimate device for cord-cutters everywhere. Here are seven reasons why it beats the competition without much effort. Read More , it’s the operating system of choice for Kodi boxes How to Choose the Best Kodi Box for Your Needs How to Choose the Best Kodi Box for Your Needs Want to buy a Kodi box but unsure which one you should choose? In this article, we recommend particular boxes for particular needs, helping you narrow your choices. Read More , and it even forms the foundation for Amazon Fire TV sticks. But Android TV isn’t just about streaming live TV and using on-demand video apps. It also boasts an impressive array of games. They range from console classics like Sonic to modern releases that push the boundaries of your device’s hardware. So, if you’re fed up of watching obscure shows on Netflix 10 Awesome Netflix Originals You've Probably Never Heard Of 10 Awesome Netflix Originals You've Probably Never Heard Of Alongside the headline-making shows such as House of Cards and Stranger Things, there are countless Netflix originals that may have passed you by. Read More and cat videos on YouTube, why not install a few of these eight games to keep yourself entertained? If Sonic 2 is available on any platform, it instantly makes the list of “best games.” It was the second-best selling game on the Sega Genesis, better only by its predecessor Sonic 1. Even today, more than 25 years after the game’s initial release, it remains an enjoyable way to waste a few hours. With larger levels and more varied enemies than Sonic 1, Sonic 2 arguably represents the zenith of the Sonic franchise The History of Sonic the Hedgehog: Beloved Mascot or Best Forgotten? The History of Sonic the Hedgehog: Beloved Mascot or Best Forgotten? Perhaps no video game mascot is more polarizing and misunderstood than Sonic the Hedgehog. Dive into Sonic history with us and let's revisit all the important milestones of the Blue Blur. Read More . The Android release includes a new Boss Attack mode, support for online multiplayer, and the Hidden Palace Zone which Sega cut from the original game prior to its release. Asphalt 8: Airborne first became available on Android and iOS in mid-2013, and it’s still as fun as ever. The game lets you race luxury cars and motorbikes. You can choose from more than 190 fully-licensed vehicles, including a Lamborghini Veneno, a Bugatti 16.4 Grand Sport Vitesse, and a Porsche 911 GT3 RS. Racing tracks are in locations as diverse as Las Vegas and Tokyo. They all feature exaggerated action elements, with ramps, rolls, and obstacles giving you a fast-paced gaming experience. The game also offers a career mode; you can play for nine seasons across 400 individual events. The Grand Theft Auto (GTA) series is another franchise which has made an impressive transfer to Android TV. The gameplay doesn’t feel compromised, and the frame rate is smooth. Four other GTA games—San Andreas, Vice City, GTA 3, and Chinatown Wars—are available on Android TV. 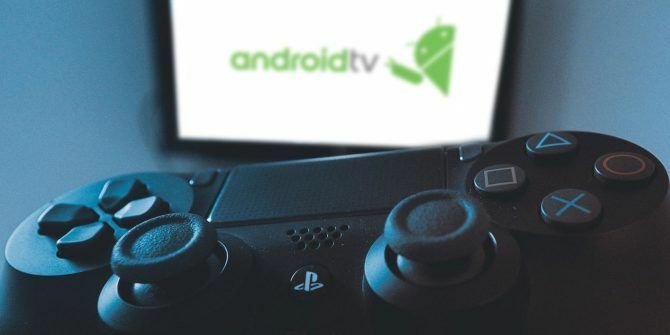 Although San Andreas is widely considered to be a better game, playing on Android TV isn’t well-suited for clocking up the days of game time required to get through the entire plot. The length and immersion Liberty City Stories offers feels right for the platform. 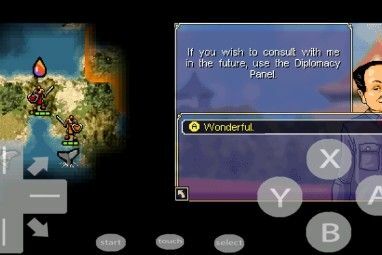 The mobile edition of the game has shorter missions than the original, making it perfect to dip in and out of. Guardians of the Galaxy is a gaming spinoff Why You Should Play the Guardians of the Galaxy Game Why You Should Play the Guardians of the Galaxy Game If you're a Guardians of the Galaxy fan, you have to check out the new game. Here's why the name game will please fans of the movie and comic alike. Read More from 2014’s Marvel superhero movie of the same name. Like many other Telltale games, this one arrived as a series of five episodes. Your download includes the first episode, but you’ll need to buy the rest via in-app purchases. If you’d like to play Guardians of the Galaxy, pay careful attention to the game’s system requirements. It only supports 10 CPUs (Tegra K1 and X1, Adreno 418, 420, 430, 505, and 530, Mali T760 and T880, and Nvidia Maxwell). You also must have Android version 6 Marshmallow or later. If you love puzzle games, you need to go and download The Witness right now. The game’s premise sees you wake up on a tropical island without knowing who you are or how you arrived at your location. You need to explore the island to discover clues and solve riddles, all with the aim of rediscovering your memory and returning home. There are more than 500 puzzles to solve, with the game offering an impressive amount of depth and intrigue in its storyline. The Witness’s developers also boast about its lack of filler content; you won’t be forced to watch nondescript cutscenes and perform other time-wasting tasks. Ticket to Ride is an adaptation of the famous strategy-based board game. The aim of the game is to control the United States’ intercity rail network by accumulating wagons. The transition from physical to digital has allowed the developers to add to new maps, all of which are available in the store. You can now play on the rail networks of Europe, India, Asia, Germany, and the United Kingdom. You can play both multiplayer and single-player games. 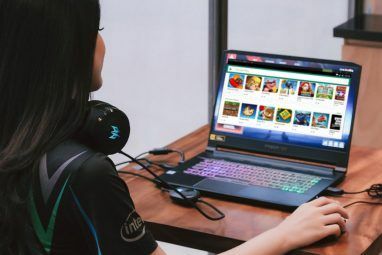 According to the developer, there are more than 50 million concurrent online games, with a new game being fired up every four seconds. Thus, you’ll never be short of an opponent. Meltdown is an arcade-style shooter with both single-player and multiplayer modes. The multiplayer mode is subdivided into two further game types: co-op missions for up to four players and a deathmatch mode. The gameplay is nothing new; you need to choose your weapons, pick your upgrades, and improve your gear where appropriate. As you progress through the 30 levels, you come across enemies with a number of different combat styles and equipment. Rather, it’s the flashy graphics and immersive storyline that keeps you coming back for more. You can download and play the game for free, but there’s also a premium version available if you want to go ad-free. Cast your mind back to the early days of the iPhone. You might remember the popularity of games like Flight Control; it required you to land planes on a runway as the skies became increasingly busier. Does Not Commute uses a similar premise, but on a much grander scale. The objective of the game is to safely guide an array of vehicles to their end destination within a time limit. The gameplay uses a turn-based approach to help you make your decisions. For each vehicle, you need to avoid crashing into other cars, buildings, and more obstacles. The game starts in a small rural town, but you’ll quickly be negotiating traffic in the big city. Remember, if you don’t have an Android TV device, you can still take advantage of games that are available on the mobile version of Android. 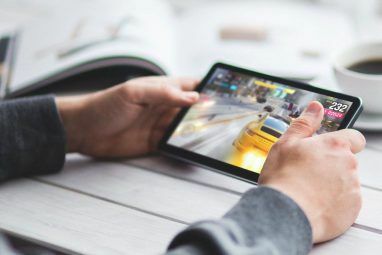 We’ve discussed some of the best Android games 20 Best Offline Games on Android That Don't Need Internet 20 Best Offline Games on Android That Don't Need Internet These best offline games for Android are from all genres, including strategy, puzzle, racing, and more. No internet required. Read More before. Explore more about: Android TV, Mobile Gaming. Thanks for the list of cool games.